US presidents have one of the most demanding jobs in the world – but the job leaves some time for leisure, as well. 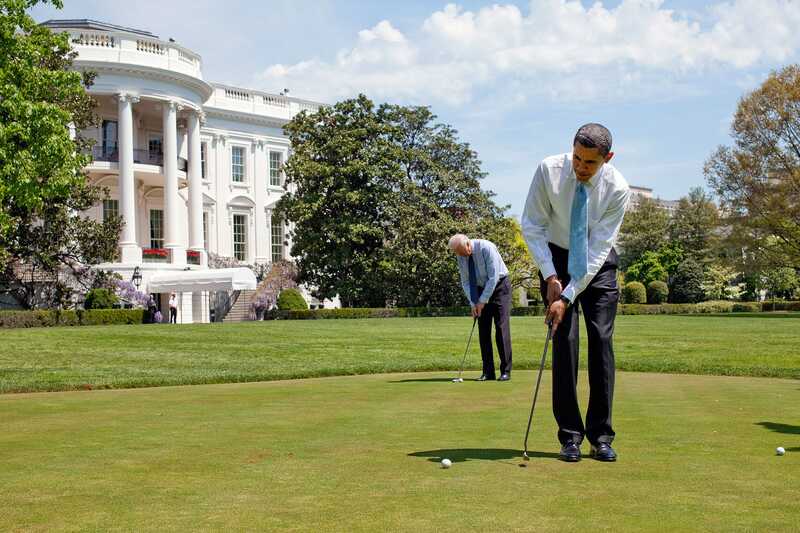 Throughout history, all but three US presidents have spent time golfing. Here’s a roundup of photos US presidents playing golf. Like many presidents before him, President Trump has played his share of golf. During his first year in office, he spent about 25% of the time at one of his golf clubs, Business Insider reported in December 2017. Trump owns 17 golf courses in the US and internationally. He often visits Mar-a-Lago in West Palm Beach, Florida and Trump National Golf Club in Bedminster, New Jersey for vacations and working vacations. Trump’s golf courses have attracted some elite guests, some of whom Trump himself has played with. The president has shared the course with professional athletes like Tiger Woods, Senators Lindsey Graham and Rand Paul, and international diplomats like Japanese Prime Minister Shinzo Abe. 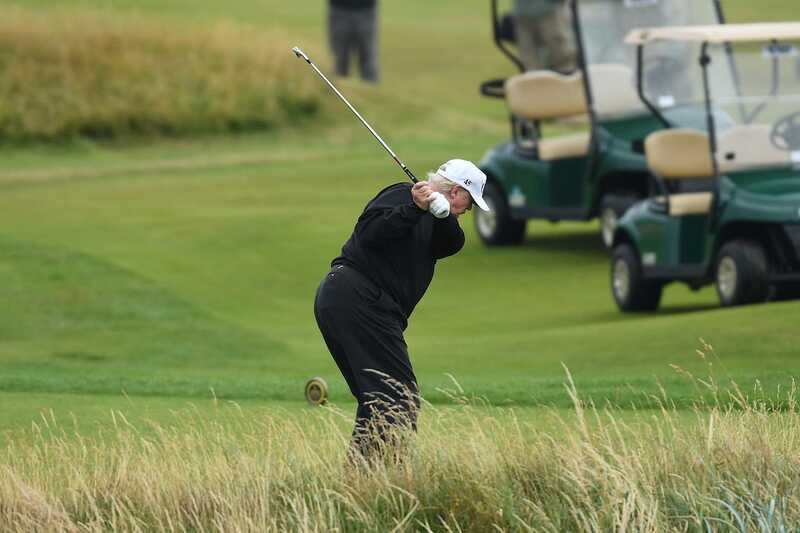 Critics on both sides of the aisle are quick to criticise whoever is in office on their time spent on the links, but playing golf is a presidential tradition. In fact, presidents have been doing it for years – over 100 of them. 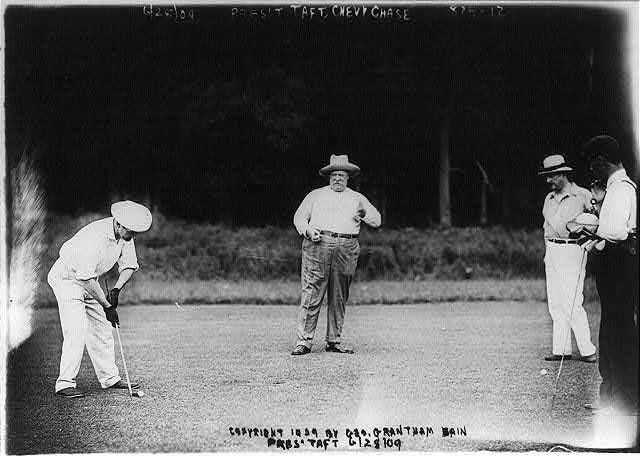 George Grantham Bain Collection/Wikimedia Commons/Public DomainPresident William H. Taft (center) playing golf at Chevy Chase Country Club on June 28, 1909. Taft started the tradition of presidential golfing. 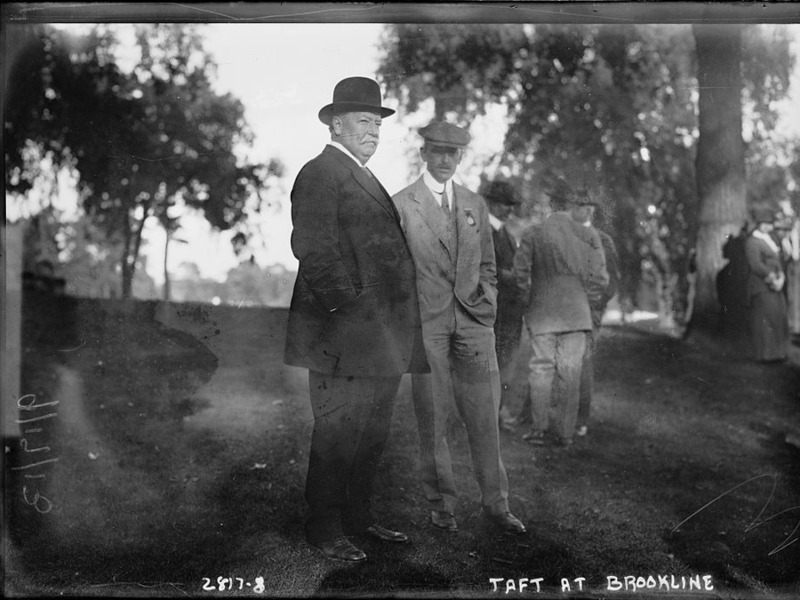 The Library of Congress/The Bain CollectionPresident William H. Taft in Brookline, Massachusetts in September of 1913. He attended the open championship of the U.S. Golf Association in 1913. Truman visited a golf course during the trip. Dwight Eisenhower golfed in style in 1956. The 34th president enjoyed a game of golf in Newport, Rhode Island in 1957. Eisenhower took a swing in Puerto Rico in 1960. U.S. National Archives and Records Administration/Wikimedia Commons/Public DomainHyannisport, Massachusetts. JFK played golf on Cape Cod with his press secretary, Pierre Salinger. The Kennedeys visited the golf course with Washington Post senior editor Ben Bradlee and his wife Tony Bradlee. The president and his wife brought their daughter, grandson, and son-in-law on a trip to Puerto Rico. In this particular game, Nixon beat comedian Jackie Gleason on the Florida course. President Bush spent the 1989 Fourth of July weekend at his vacation home in Maine. Presidents sometimes golf with other presidents, too. This photo was taken during a 10-day family vacation to Martha’s Vineyard. 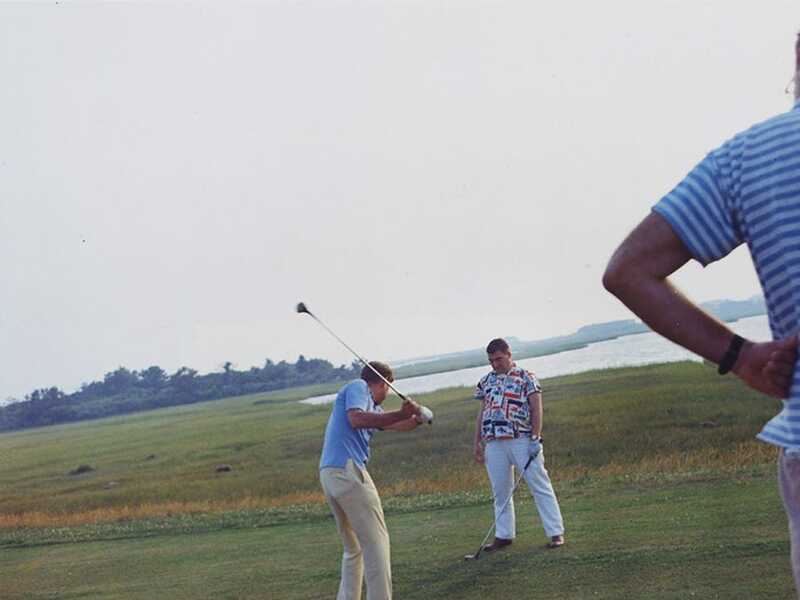 The younger Bush played golf in Kennebunkport with his father, former president George H.W. Bush. P042409PS-0122/Wikimedia Commons/Public DomainPresident Obama on April 24, 2009. President Obama and Vice President Joe Biden practiced on the putting green at the White House. Leon Neal/Getty ImagesTrump at the Trump Turnberry Luxury Collection Resort in 2018. Trump owns the luxury golf resort, which is located close to Glasgow, Scotland. This photo was taken during the Women’s British Open golf championship, which took place at Trump’s Scotland resort.